Ben Rector performs at L.L. Bean in 2016. 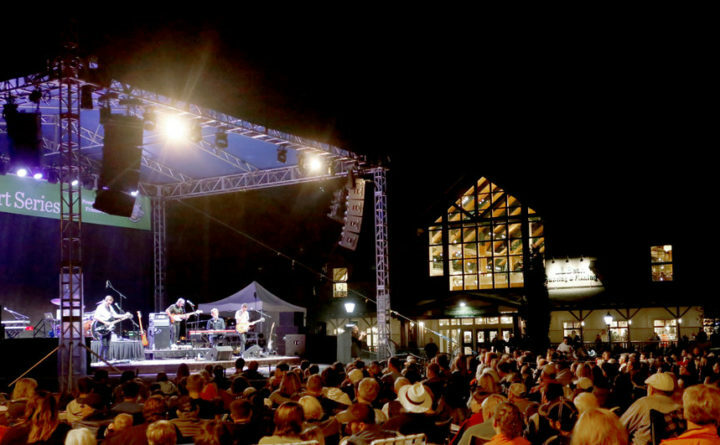 L.L.Bean on Wednesday announced its free summer concert series lineup, headlined by pop/rock band The Fray and American string band Old Crow Medicine Show. The free summer series begins July 4, when soul/R&B artist Devon Gilfillian performs just prior to fireworks and following Independence Day events, including road races. Chase Rice, with special guest country performer Cassadee Pope, is slated for July 7, with blues/rock band Big Head Todd and the Monsters on July 14. Old Crow Medicine Show is scheduled for July 21, pop/folk band Passenger on July 28, and alternative rock band The Revivalists on Aug. 4. The Camp Sunshine Watermelon Festival and American Cancer Society Amazing Place, Amazing Race fill the Aug. 11-12 weekend, with the Teens to Trails Life Happens Outside Festival slated for all day Aug. 18. The annual Dog Days of August festival is scheduled for Aug. 25 and 26. Concerts end on Sept. 1 with The Fray. Ongoing events throughout the summer include free yoga in the park, outdoor events including films and other entertainment every Friday evening.